6 more days and I’ll be on summer vacation time. I can do this! Who else is counting down the days for summer to start? No early mornings rushing around, no more packing lunches…easy days and fun are on the way! I can’t wait! This week was an awesome training week for me. I love a week where everything clicks. My runs went well and I had a ton of fun along the way. Monday – one mile and a really tough BodyPump class. I am finally back to the weights I left off with and I’m thrilled. Hoping to start moving up some of them soon. Tuesday – 5 miles: 1 solo and 4 with Cara. I got out of a meeting earlier than planned so I got a quick mile in before meeting Cara to run. We had the most fun running these crazy fast/slow intervals. It was cracking us up. We’d pick a spot just up ahead and run at a pretty fast pace then walk or jog for just a few seconds and do it all again. Half the time we were laughing and the other time, gasping for air. Wednesday – National Running Day! We had an awesome turnout for our running get together. Thanks to Junction 311 for joining us and giving away prizes, including a free race entry. It was great to meet new people and everyone had a great time! I ran 3 miles and add another one at the end for 4 total. I also forgot my watch and loved the freedom of just running! Thursday – 4 miles with Christine around Hamilton Lakes. We kept it super easy and actually ran more than we did the last time we were there. The weather has been cooperating for the last few days! 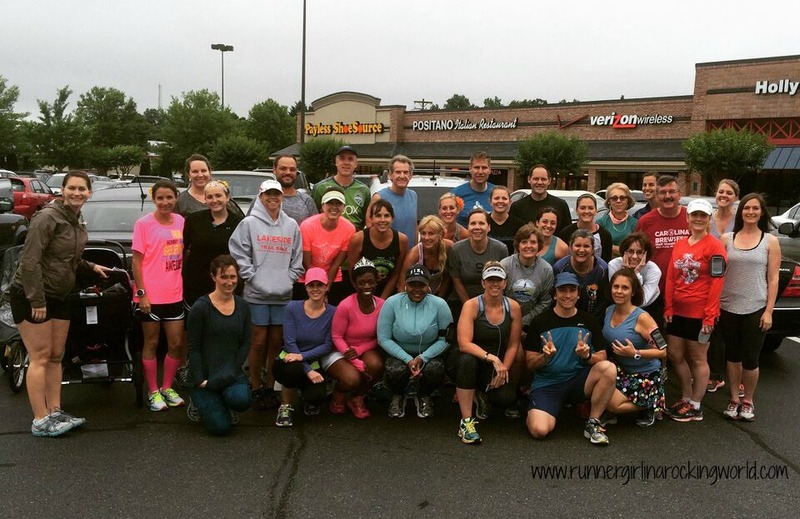 Saturday – A small group of us met to run from Gibson Park. Every time someone suggests we run out there, I get excited because it’s somewhere different to run. Then immediately I remember how hilly it is within the first mile. It’s seriously no joke! I planned to run just 7-8 miles and stuck with Amy for the 6 miles. We had a great time catching up and chatting. I felt really good so I ran 3 more solo miles for 9 total. I felt really great when I finished! I saw my friend, Lauren, out there who was running a race. Sunday – We had our family photos in the morning and I was able to get an afternoon run in post pics and Hayden’s party. It felt good just to get out there for a bit. Another great week of Hello Fresh meals! Buffalo Spicy Boneless wings, extra hot. How did your week go? Run any races this past weekend? How’d they go? Are you making goals and looking back at your week too? 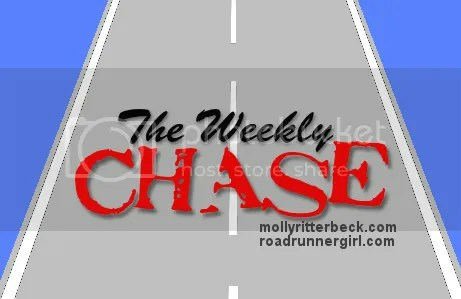 Head over to The Weekly Chase hosted by Molly and Mindy and see what other people are sharing about their weekly goals and accomplishments. ahhh I need to get it together to take FAMILY PHOTOS. We lucked out on an overcast day here in NC. It’s been in the upper 80’s and humid already too. No one wants some sweaty pics! Looks like an amazing week of running and fun! 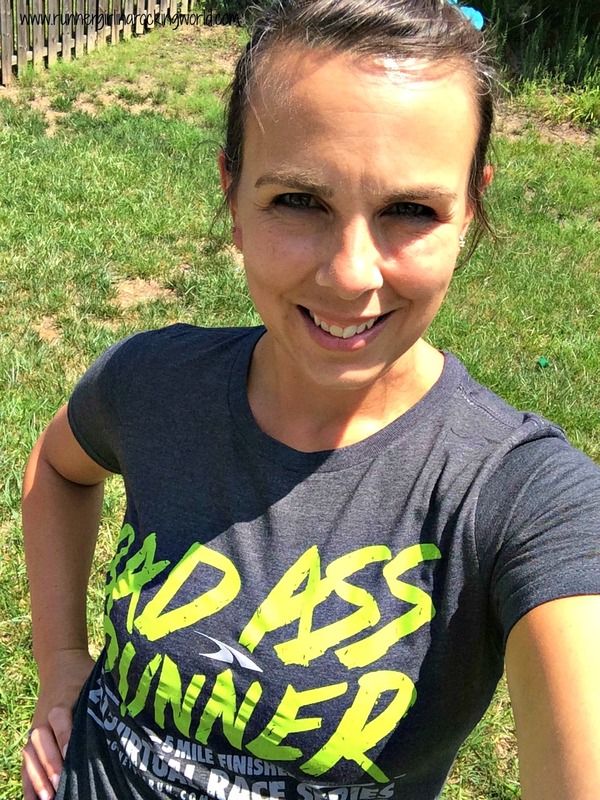 You look good in the badass runner shirt! That shirt is one of my new favs. Love the fit! Worth the $30 alone! I’m so counting! 2 1/2 for me, including today!! Nice job alst week, you are really knocking out those miles towards your 1500 goal! I’m trying!! It’ll come down to the wire but I’m thinking marathon training will help boost my miles. So jealous of your 2 1/2 days!! Great week of workouts and runs! How is Hello Fresh? I’ve been thinking of trying it. Definitely try it at least once! We really love it. Best decision we’ve ever made.